Ideal dust cleaning glove. Recommended also for poeple who are allergic to dust, or suffer with asthma, as no dust is raised while cleaning. 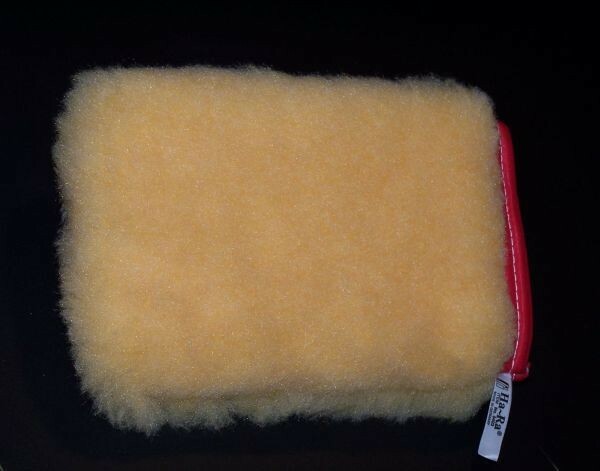 The yellow Dusting Glove is made from synthetic fibres only. It will clean most surfaces where damp cleaning is not possible. It can also be used for quick in-between dusting. Areas of applications: For dusting in all areas of the home like living area, including furniture, carvings, lead light windows, computer keyboards, TV Sets, Computer Monitors, electric equipments etc. Useful for grooming pets to remove loose hairs from horses and short haired dogs. How tu use: Before each use, rub the fibre back and forth a few times to create static electricity. Then wipe the surface to be cleaned, slowly and gently. After use, take the glove outside and beat out the dust or brush or vacuum. Please, avoid going over wet, damp, sticky, or oily surfaces. The fibres should only be used dry. Maintenance Wash only when very soiled! Wash in the washing machine at a temperature not higher than 40 degrees (104 F). We recommend to use Ha-Ra® Saponella washing powder. Let it dry open air or in the sun.